Highway 10 was torn up between Tha Ngon to Vientiane so we took a new road 12 km across to highway 13. We traded the red dirt for busy highway. The next 20 km into town were very busy and quite interesting. Vientiane has had a lot of Feench influence over the y ears and the architect shows this influence. 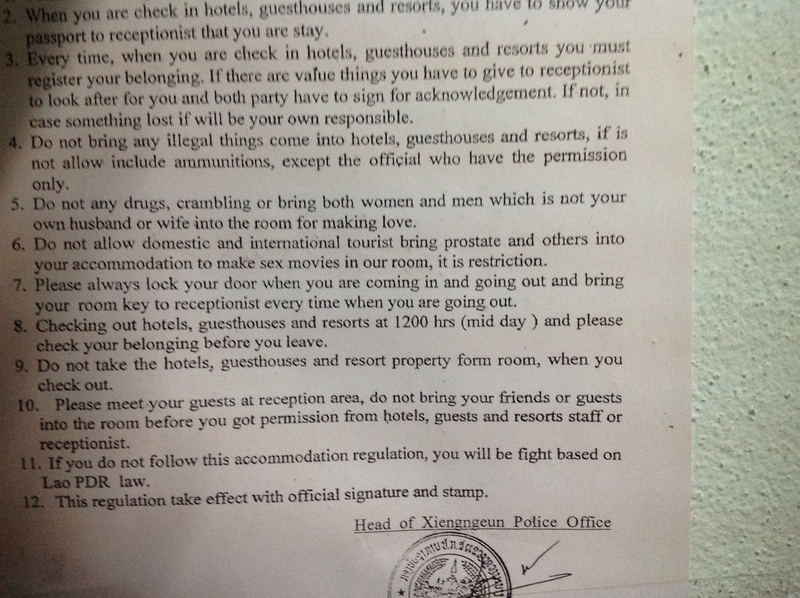 Below is a set of rules in one of our guesthouse. Note rule 5 and 6.